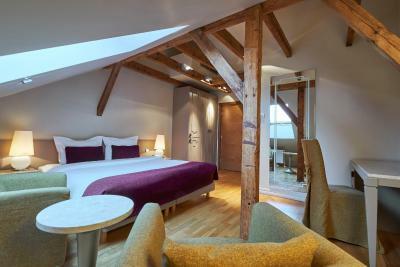 Lock in a great price for Opera Hotel & Spa – rated 8.3 by recent guests! Location is very good. Wifi worked well (first floor). The room was spacious and comfortable. Excellent location. 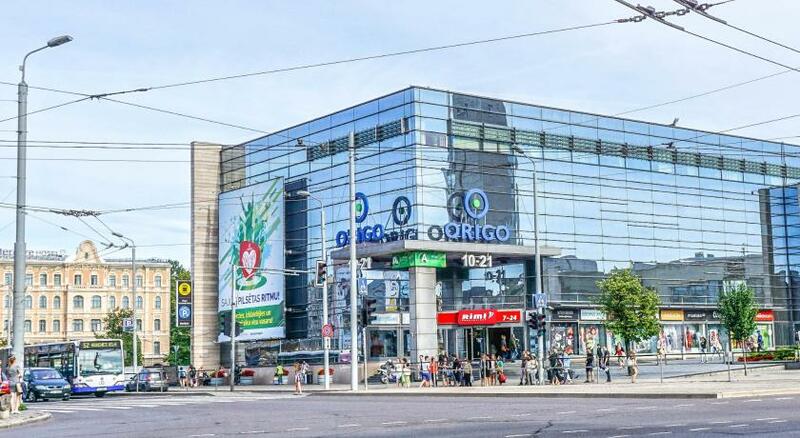 Opposite central train station, bus stop, shopping mall and old town of course. The rooms were fine. Breakfast was good. 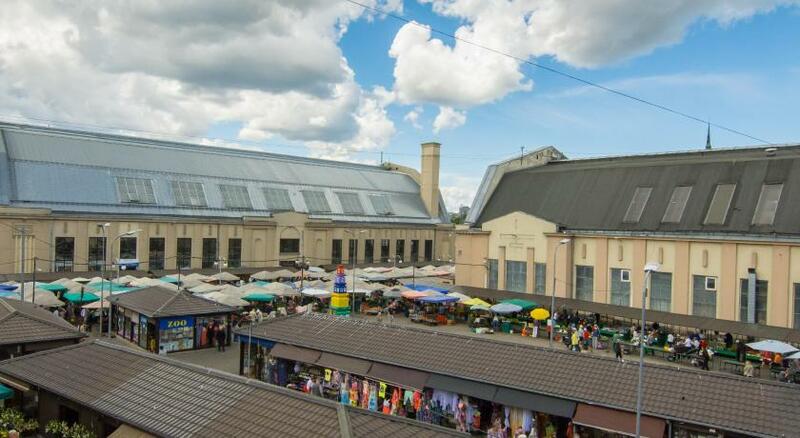 Great location for sightseeing, shopping, and opera. Close to many attractions, and old town. Lovely restaurant of hotel. Rooms quiet, clean and well serviced. Staff friendly and very helpful. Super hotel. Enjoyed location and the style of the room. Staff at the spa facilities were polite and helpful. 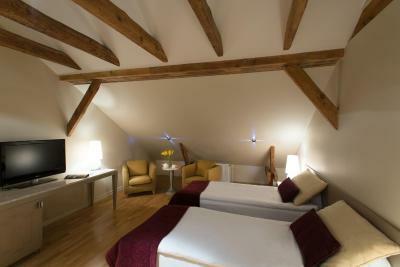 The staff were very lovely, very helpful and calm. The cleaners are polite and accomodating. The free drink vouchers upon arrival are a great idea! Breakfast was delicious. The spa massage quality is very very good too, good idea to have access. Opera Hotel & Spa This rating is a reflection of how the property compares to the industry standard when it comes to price, facilities and services available. It's based on a self-evaluation by the property. Use this rating to help choose your stay! 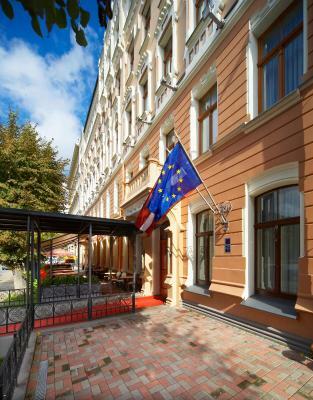 Only a 5-minute walk away from Riga’s Old Town - a UNESCO World Heritage Site, Opera Hotel & Spa offers 2 conference rooms, a spa area with a plunge pool for relaxation and free Wi-Fi. 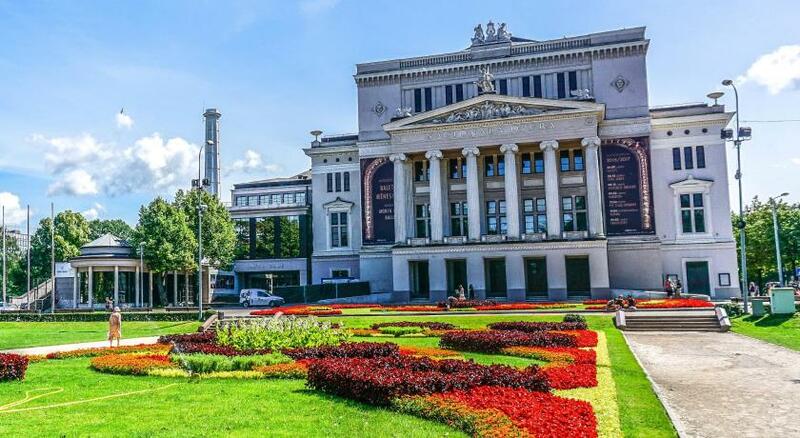 This 4-star hotel is 650 feet from the Latvian National Opera. 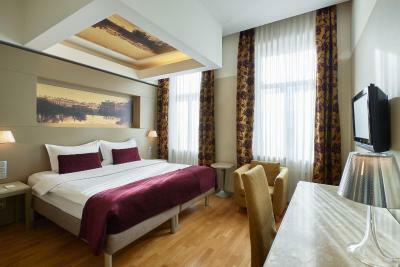 All rooms feature flat-screen TVs, mini-bars and safes, free Wi-Fi, and designer furniture with natural fabrics. 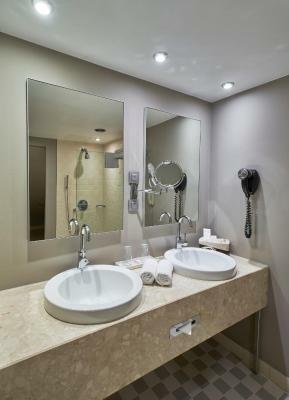 Featuring a hairdryer and a shower or a whirlpool bath, the private bathrooms also come with free toiletries. 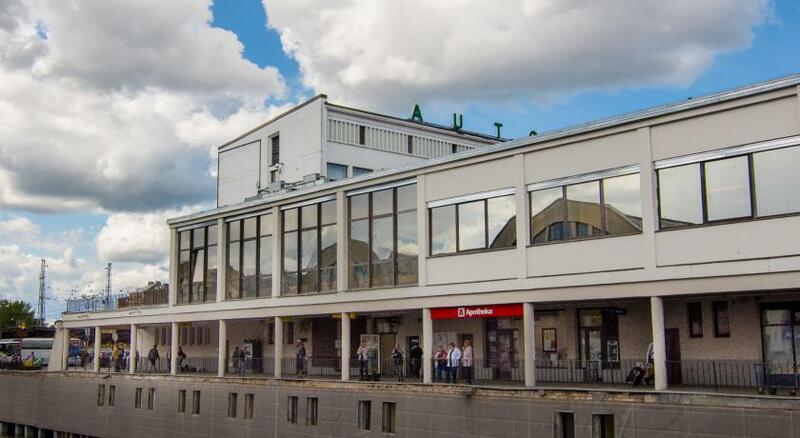 The rooms overlook the Opera park and the bridge over the River Daugava. The Boulevard 33 restaurant serves organic food, specializing in Latvian and international cuisine. In summer, guests can dine on the terrace. A rich breakfast buffet is available every morning. The building was constructed in 1886 by the famous Latvian architect Janis Baumanis, Opera Hotel & Spa features a 24-hour reception. 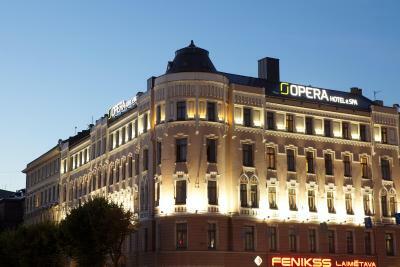 Many shops, restaurants and bars are only a few steps away from the Opera Hotel & Spa. 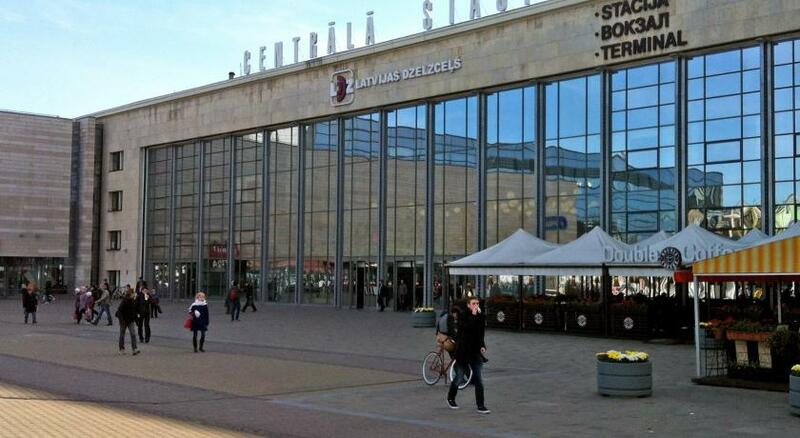 The main train and bus stations are directly opposite, and the Riga International Airport is a 15-minute drive away. City Center is a great choice for travelers interested in restaurants, history and cafes. 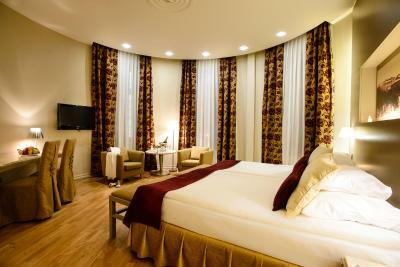 When would you like to stay at Opera Hotel & Spa? 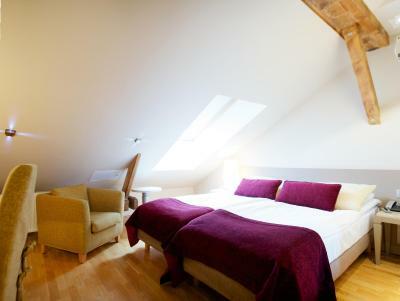 Includes cable TV and a private bathroom with bath or shower and free toiletries. 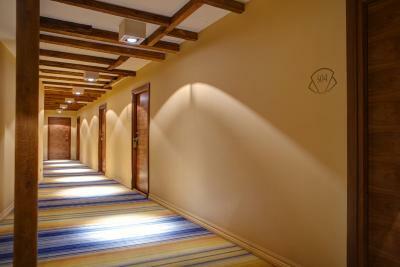 Some rooms have disability access, please contact the property after booking. Daily 1-hour Spa Visit is provided free of charge from 9:00 to 10:00. 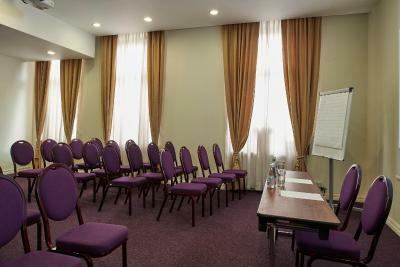 Please note that the sizes and layout of the rooms may vary. There is no capacity for extra beds in this room type. 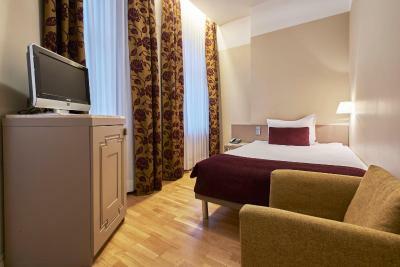 Includes cable TV and a private bathroom with bath or shower, slippers, bathrobes and free toiletries. Daily 1-hour Spa Visit is provided free of charge from 9:00 to 21:00. 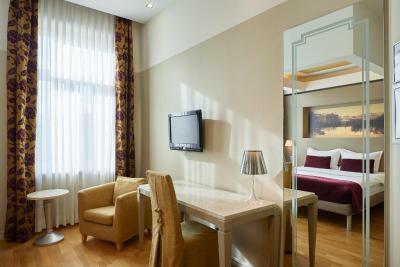 Please note that the sizes and layout of the rooms may vary. 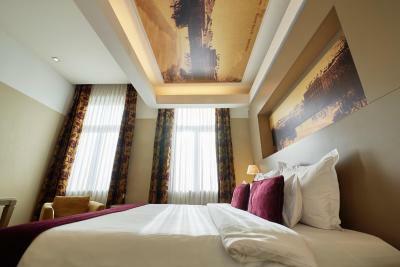 Spacious, elegant room with an LCD TV, coffee and tea making facilities and a mini-bar. Bathroom comes with a shower, bathrobes, slippers and free toiletries. Unlimited Daily Spa Visit is provided free of charge during Spa working hours. 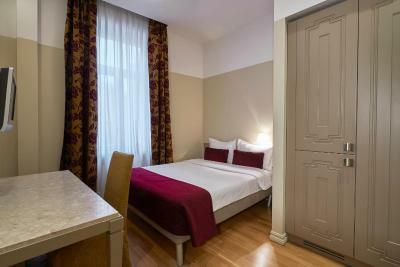 This twin room has a cable TV, mini-bar and soundproofing. 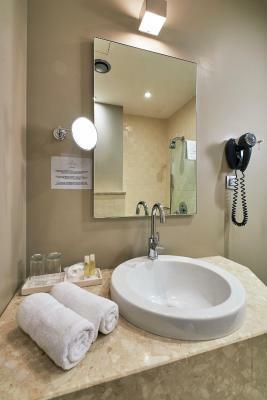 Bathroom comes with a bath or shower, free toiletries and a hairdryer. 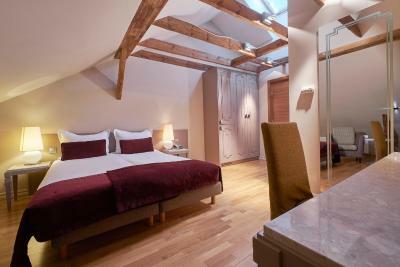 This twin room has a satellite TV, mini-bar and soundproofing. 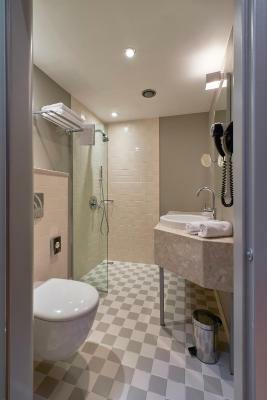 Bathroom comes with a bath or shower, free toiletries and a hairdryer. 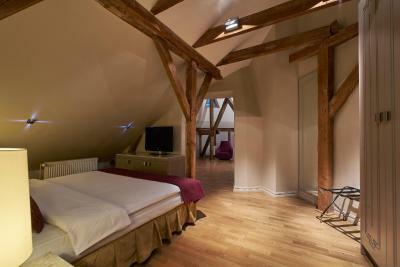 This single room features a satellite TV and mini-bar. Bathroom comes with a bath or shower, free toiletries and a hairdryer. This suite has a sofa, air conditioning and satellite TV. Bathroom comes with a shower, bathrobes, slippers and free toiletries. Unlimited Daily Spa Visit is provided free of charge during Spa working hours. 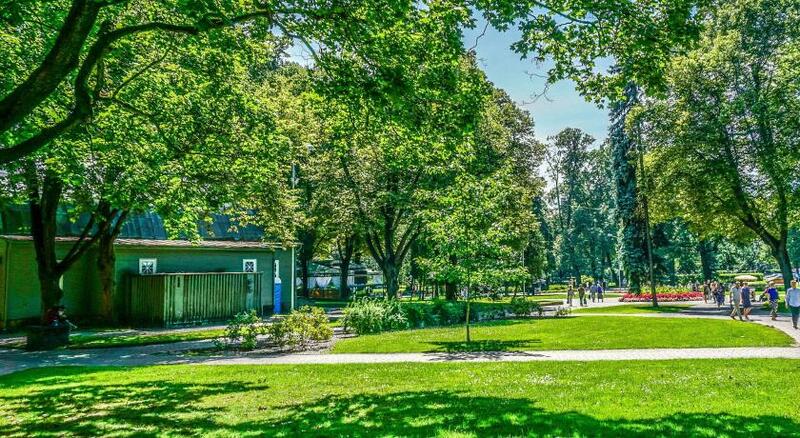 Hotel surroundings – This neighborhood is a great choice for travelers interested in restaurants, history and cafes – Check location Excellent location – show map Guests loved walking around the neighborhood! House Rules Opera Hotel & Spa takes special requests – add in the next step! Opera Hotel &amp; Spa accepts these cards and reserves the right to temporarily hold an amount prior to arrival. Opera Hotel & Spa accepts these cards and reserves the right to temporarily hold an amount prior to arrival. Please note that a half-board meal plan includes a buffet breakfast and a 2-course set menu for lunch or dinner. Please note that the property reserves the right to pre-authorize the credit card prior to arrival. Our stay in this hotel was disappointing as there were too many negatives: Our check in and check out experience was very poor and very drawn out. 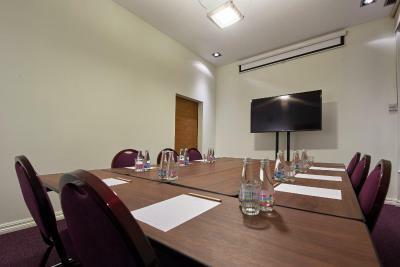 The member of staff we dealt with on both occasions seemed confused and did not explain anything about the hotel, the city or where the room was. Also we were charged a deposit without being notified which we had to ask to be returned to us when leaving which took FOREVER, The shower in our room was awful and the room was always too warm. Breakfast was average and the breakfast area not very pleasant as there is little room to move around when slightly busy. I would not stay here again. Breakfast was good. Bed comfy, bathroom spacious. Hotel parking was not free, never experienced before. The heating was not on, but the room was quite hot. No air conditioning. Saunas in spa could have been warmer. The location was perfect. The breakfast was tasty with rich choice. 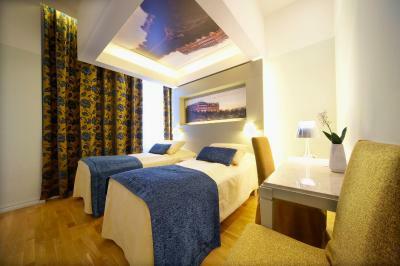 It is a bit hard to believe this is a 4 star hotel, especially check-in process and spa quality. Location was perfect for city visit. In the « upgraded » room , the shower ( not s bath tube) was on the floor, I believe it doesn’t meet 4* standards. Spa is very modest, pool is small with one water cascade and a water jet , Small sauna and hammam, One would expect a bit more from an Hotel called Opera Spa. The shower did not have a proper cubicle, so water was all over the place after showering. There was a nasty smell in the bathroom all the time. Very helpful staff.I did not have the chance to use the spa. Wi-fi connection was fine only in the lobby. Everything was very nice cuz hotel let me chek-in earlier and check-out later. Breakfast was tasty and fully. Spa is enought clear. 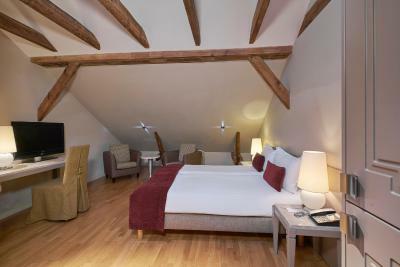 Great location for the old town, easy access from the airport and to all amenity's. would defiantly recommend this hotel. The WiFi didn’t work in the room. Reported this three times but it was never addressed/fixed. Very central and easy to walk to all the main sights. Easy to find on public transport from the airport. Comfy, clean and warm.